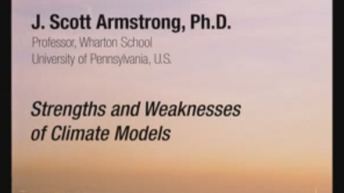 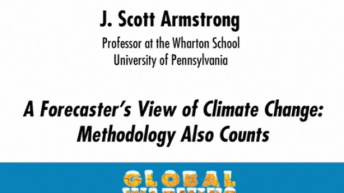 J. Scott Armstrong, professor at the Wharton School, University of Pennsylvania, is a founder of the Journal of Forecasting, International Journal of Forecasting, and International Symposium on Forecasting. 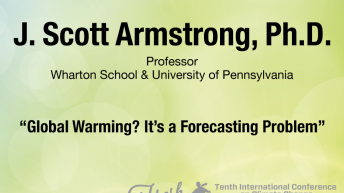 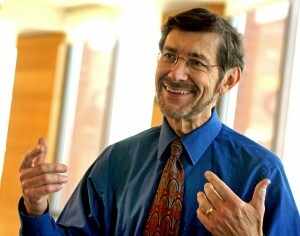 He is the creator of forecastingprinciples.com and editor of /i>Principles of Forecasting (Kluwer 2001), an evidence-based summary of knowledge on forecasting. 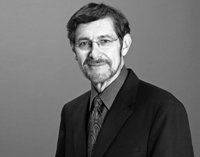 In 1996, he was selected as one of the first six “Honorary Fellows” by the International Institute of Forecasters. 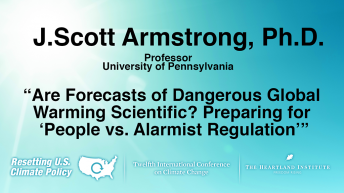 He has been doing research on forecasting for nearly half a century. 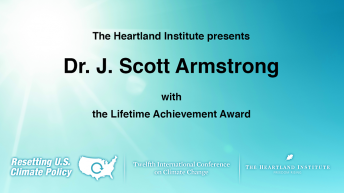 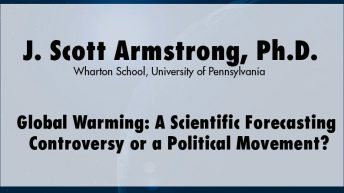 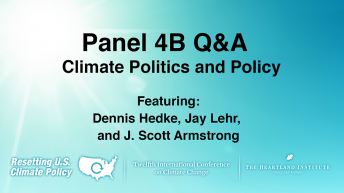 In 2017, The Heartland Institute awarded Dr. Armstrong the Lifetime Achievement Award for Climate Science at the 12th International Conference on Climate Change.